Every year multiple people die from lightning strikes, cattle are killed, crops can be damaged, and fires started, impacting both homes and land. With a temperature 5x hotter than the surface of the sun, you can expect a lot of problems when lightning strikes the Earth. And with over a billion strikes per year globally, lightning is something of which you should be aware. 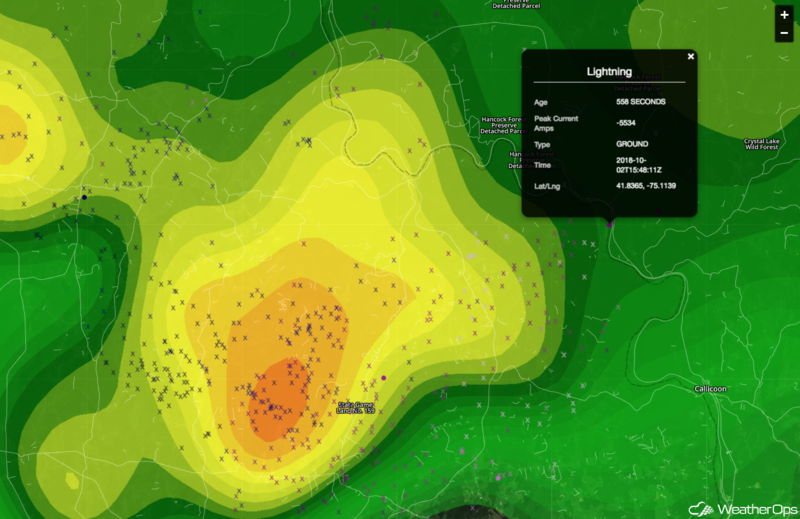 WeatherOps can help by showing both current lightning and a prediction of where it may happen. If you have an interest in knowing where lightning is or has occurred, WeatherOps Commander has the information you seek. You can view the data by either cloud-to-ground strikes, displayed as a colored circle, or cloud-to-cloud strikes, shown as an x. 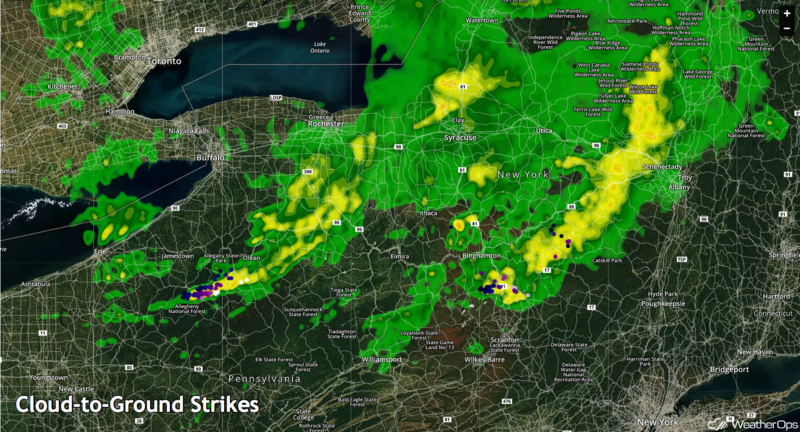 You can also view a comprehensive image of all lightning that has been detected over the last half hour. The coloring of the strikes designates the timing; the latest bolts are white, and the oldest ones are dark purple. By zooming in and clicking on an individual strike, you can find out its age, peak current, and exact position. WeatherOps' Lightning Prediction Algorithm predicts the threat of lightning for the next 60 minutes by showing moderate and high threats. 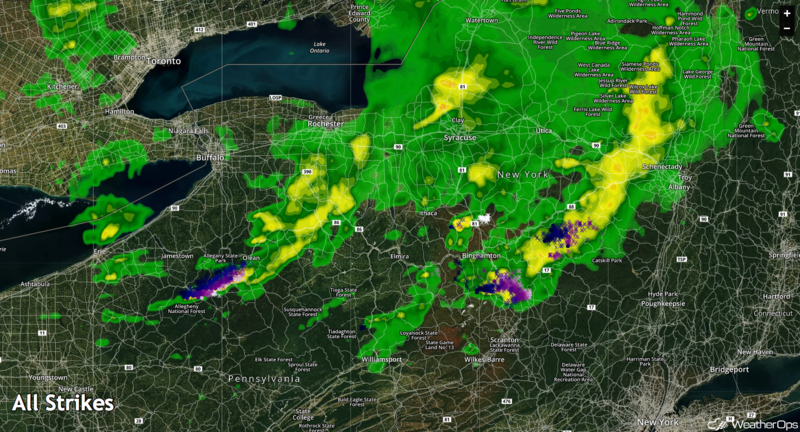 Polygons are derived and output every 5 minutes from an algorithm that combines radar data and detected lightning. Multiple time steps of radar mosaics are used to determine the direction and velocity of all storm cells in the gridded domain. Detected lightning is then used to identify the area currently affected by lightning and advect that area along the forecast path of the storm cell. Lightning can threaten outdoor events, agriculture, those who work outdoors and more. Be better prepared next time a storm strikes. After all, knowledge is power.